If I hadn’t already been familiar with how good The Deadbeat Poets are, I’m not certain that kicking off an album with a song title like “Elvin Dabney, Professional Thief” would have hooked me. Not that “The Postmodern Razor Wire Showdown” would have drawn me in either. 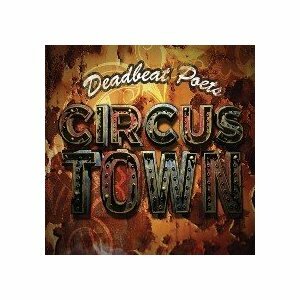 So don’t let that dissuade you, either – Circus Town is another great release on the heels of Notes From The Underground. “People These Days” takes The Kinks’ “You Really Got Me” and flips it on its head; “At Least It Worked Out For You” is fiery and rambunctious, like The Wildhearts or vintage Stiff Records acts. 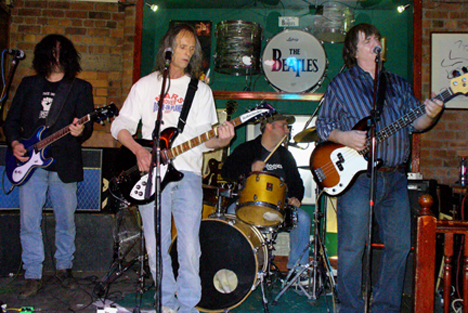 “The Staircase Stomp” might recall The Jam or The Motors. There’s a wealth of sharp hooks and snappy choruses – this is meant to be played loud and sung along to. Of course, with band members having tenures in bands as widespread as Blue Ash and Stiv Bators, one would expect a myriad of influences to creep in. “Sunglass City” sounds like a song The Beatles might have covered during their Cavern Club era, or perhaps an obscure Kinks b-side. Jangly twelve-string guitars add a Byrdsian essence to “I Thought I Knew You”, which (like “Madras Man”) could pass as easily as a late 70’s Searchers cut as it could a contemporary country-pop tune. It rocks, it swings, and it’s funny, and hitting the replay button is a no-brainer. Sure, it starts out like gangbusters and eases to a slower finish, but so does my car and my metabolism. And if that’s the only nit you have to pick, I have two words for you: shuffle play. One of my favorites of 2010 so far. Go get it!